Andrew brings more than 38 years of banking & finance experience to lead the QPF Property Finance team. 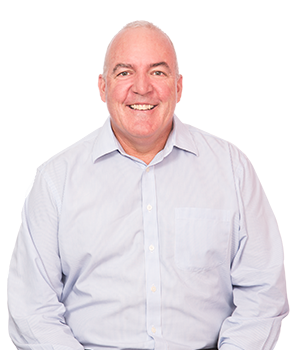 He kicked off his career at ANZ in 1980 and after 10 years in plant and equipment finance, Andrew moved to Citibank in 1990 to write commercial and residential mortgages. During his 23 years at Citibank, Andrew spent the last five leading the mortgage business as QLD State Manager. He has won numerous highly regarded awards throughout his career and was a key factor in the launch and success of QPF’s Property Finance Division. In his spare time Sterlo, as we know him in the office, enjoys cycling along the Brisbane River, collecting fishing rods and throwing a line in when he can! What has Andrew recently financed? Despite the widespread drought, Australia's rural property sector has seen property values on the rise over the last 18 months. Some beautiful grazing and farming properties are being brought to the market, but sellers and buyers alike both fear a lot is determined by the availability of funding and support from the banks. The volume of loans settled has certainly been tighter due to the drier conditions, and some slower financing from banks – but we are here to help you jump through the hoops, so you can spend your time where it matters. Our GM of Property Finance just funded this striking piece of land, located in the Warwick district. This property was purchased in order to expand current farming operations situated on an adjacent piece of land. We wanted to thank you for helping us secure funding for the purchase of our house and for all of your related efforts. Your help was greatly appreciated. We are loving owning our own home (well…sort of owning it!) and are now enjoying renovating!